The future belongs to those who dream and to those who believe in it. Aspiration is a force that drives one towards having a dream and builds the vision to achieve the dream. This dream comes true with the confluence of inspirations that ignites the mind and heart to action and this action leads to change. Y-Talks, an inspirational story series, has been an integral part of Yugam, a confluence of sports, technical and cultural fest that impacts more than 15,000 people every year has witnessed the presence of eminent personalities from all over India. 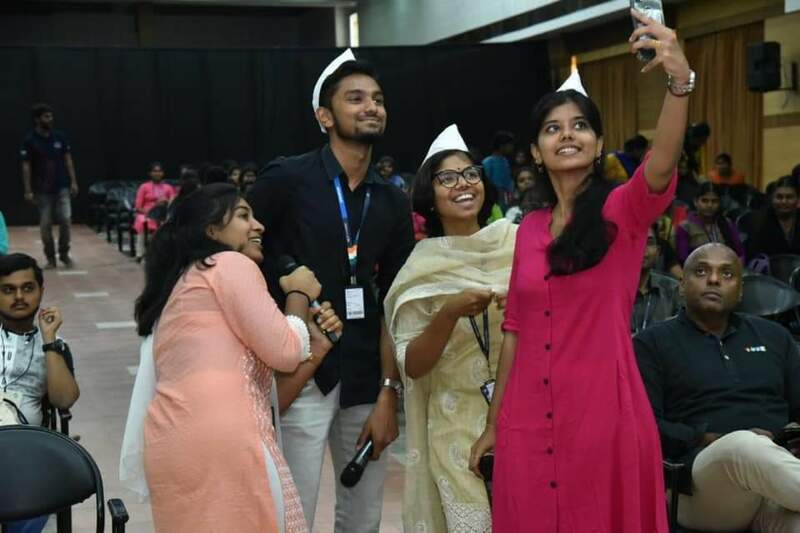 Y-talks this year has faceted as Inspire India YouthCon 2019, to reach out to the young minds across the nation for a learning culmination. Inspire India Youthcon is an arena where seekers aspire and icons inspire. The objective of the conclave is to appreciate people who have contributed to various fields such as Art, Technology, Social, Entrepreneurship, Leadership, Sports, Politics, etc. and have a story to tell, that would emblazon on the minds of the youth, which in turn will instigate thinking. 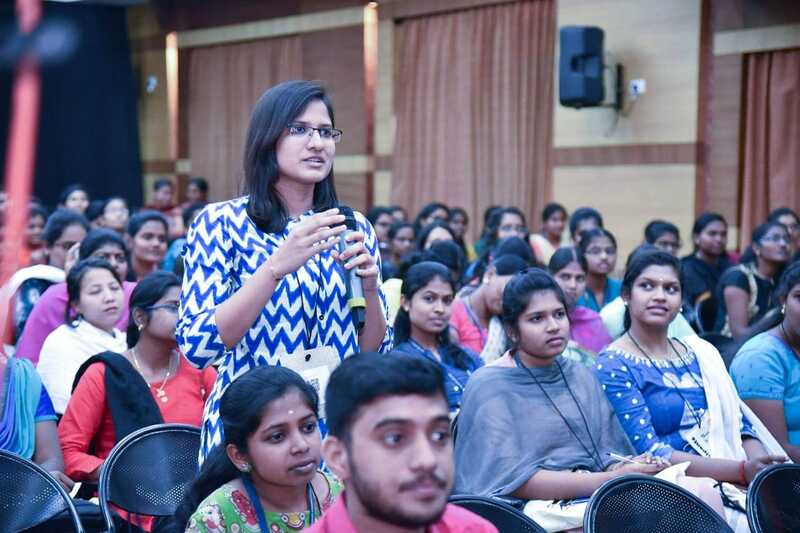 The 2 day Inspire India YouthCon on 02 and 03 February, 2019 contained 30 speakers, 5 young disruptor stories, 3 leadership impact talk series, 4 start-up stories, 4 monologues, 2 panel discussions and 3 workshops. The talks, sharing, conversations and discussions that happened over the two days were on themes such as breaking barriers as habits, Life in public service: Opportunities, Challenges and Impact through public service, நிமிர்ந்து நில், துணிந்து செல், How to become a social media superstar?, Leadership in a VUCA World; Pursuing Perfection: Some collected thoughts, Are startups the catalysts of change in a Nation’s growth?, Yogic Neuroscience, Case study on Public Policy, Storytelling for Leadership and நாளை நமேத! There were two performances by Mahesh Ragavan, Flair Music 2.0 and Nikhil Paralikar, The Tabla Guy. Shri S. Ramakrishnan, Founder President, Amar Seva Sangam and Mr. Suresh Sambamdham, Founder, Orangescape and CEO KiSSFLOW were the chief guests for the inauguration and valedictory ceremonies respectively. 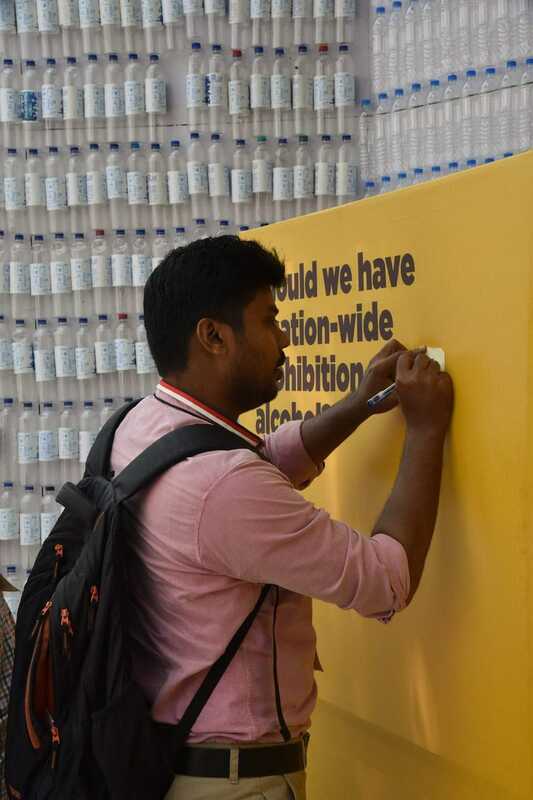 On the whole Inspire India YouthCon, which had a participation of 550 students and professionals, was a platform where the seekers aspired and the icons inspired. A team of 9 students captured the essence of the icons stories and sculpted them in a book while the icons were sharing thier stories. This book named Compilation of Inspiration: Inspire India YouthCon 2019 was released at the valedictory ceremony by Mr. Suresh Sambandham and Shri. Shankar Vanavarayar, President, Kumaraguru Institutions. Click here to read the book Compilation of Inspiration that has speech extract of all the speakers of Inspire India YouthCon. Optimism is the faith that leads to achievement and it also instills hope and confidence! The harder you work for something, the greater you’ll feel when you achieve it. When Inspirations convene! This topi is an icon that speaks of great movements in the history that has given us the independence that we live in today. As we have this icon in our hand, we are ever reminded of our duty and responsibility towards the betterment of the society by showcasing love, respect and wisdom. Students of Bhakti Natya Niketan , performing Bharatanatyam , an Indian classical dance to mark the divine presence. It’s not the man that makes the vision. It is vision that makes man. Pathway to Pass through the vision of Mahatma Gandhi! Spinning wheel standing as the symbol of nationalism while Dude Vicky emphasising his thoughts on patriotism and unity in diversity! Iconic are those personalities who can inspire hope and ignite imagination. Seeking inspiration from such Icons! Young minds opening up their eyes to reveal the underlying storm on social controversial topics. Right questions at the right time to the right person will cultivate curiosity. The majestic voice that fought for identity. Dr. Akkai Padmashali now stands independent as an embodiment of courage, humanity and love! Age is just a number. Dr. Ramakrishnan from Amar Seva Sangam shares his thoughts on staying devoted to work and also insists that everything is possible when you have good thoughts. Story telling reins as the breakthrough skill that sets you apart and enables you to engage, align and inspire. Gayatri Aptekar, brings people together and connects them with her stories! A journey of thousand miles begins when energised hands join and motivated minds come together!